I had some fun with the Muse today. I discovered a living hinge generator website and made up a quick box. I then worked on some more image engraving on the Muse. 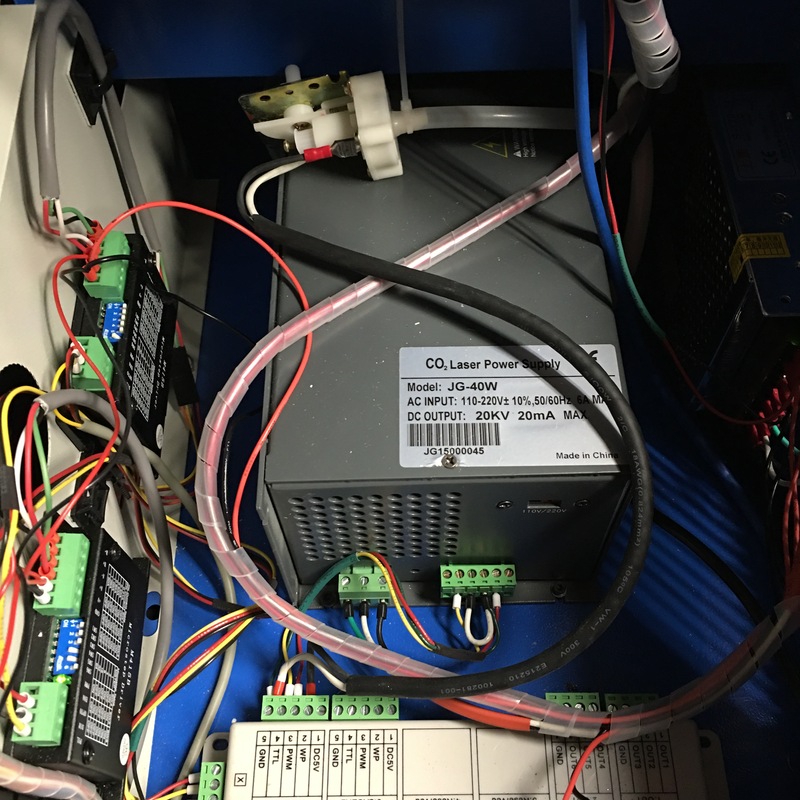 I completed another CEIA Magnetometers Storage Pallet. 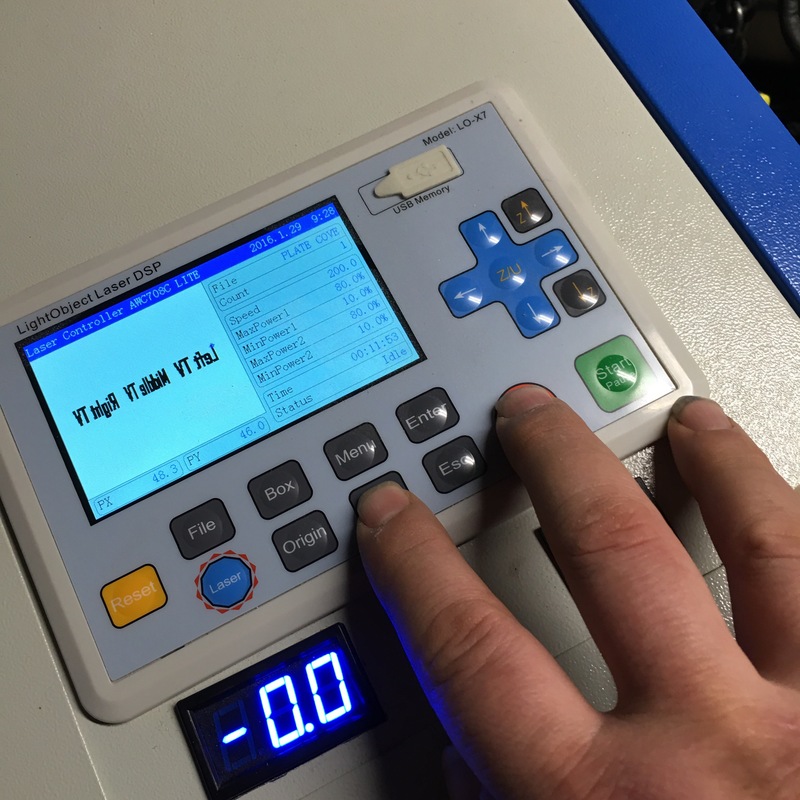 The Stacker 3D Printer is printing a K40 Laser Cutter Mirror Alignment Tool. 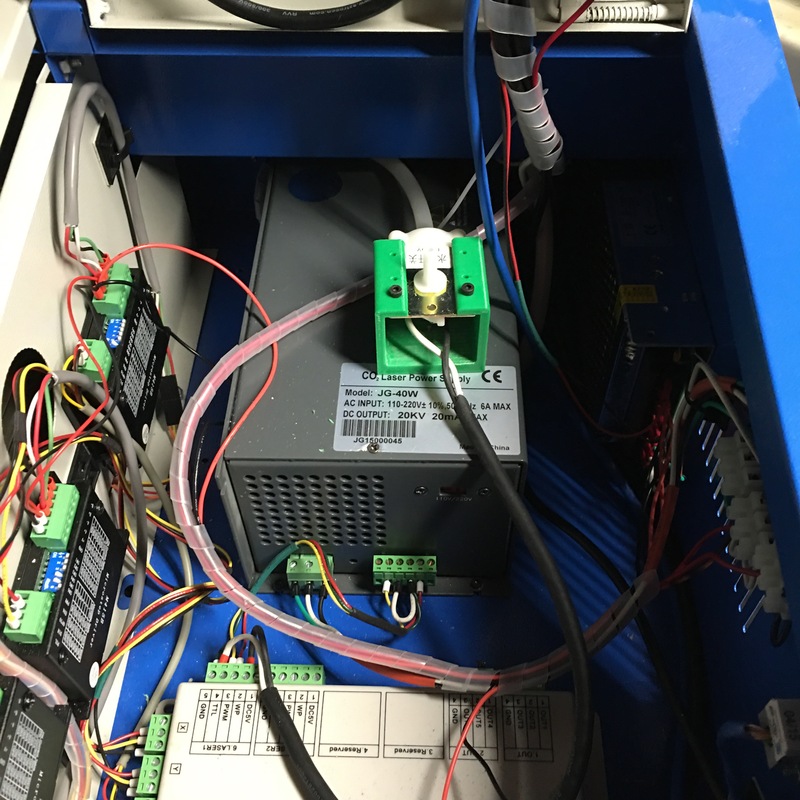 I remembered to bring the crimpers back to MakerCave and finished the wiring for the K40 Laser Engraver and Cutter water flow sensor. 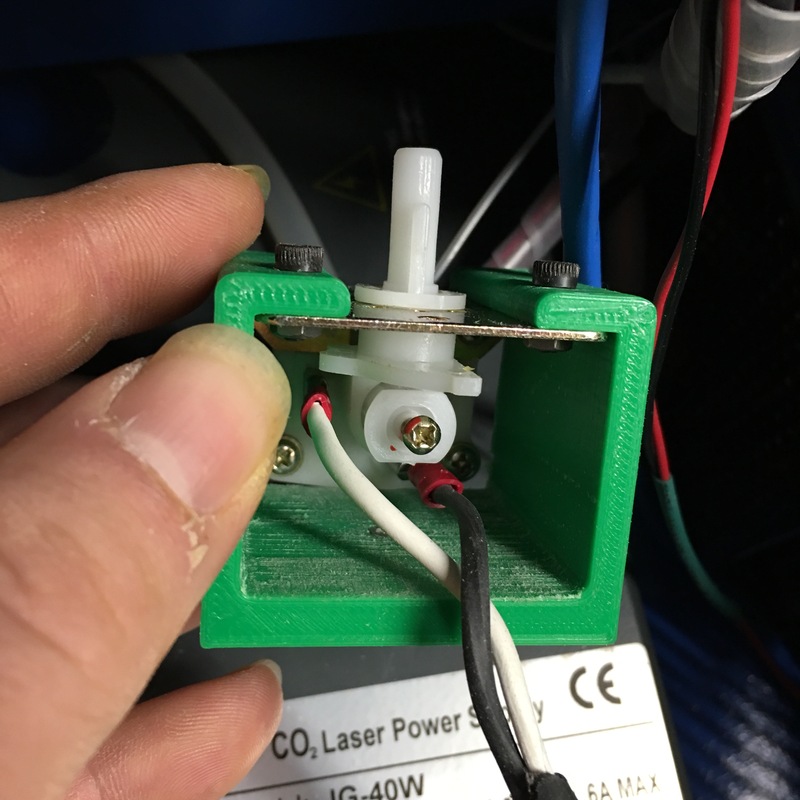 I attached the female connectors to the water sensor and the ferrules to the WP (Water Protect) terminal and the Ground terminal for Laser1. 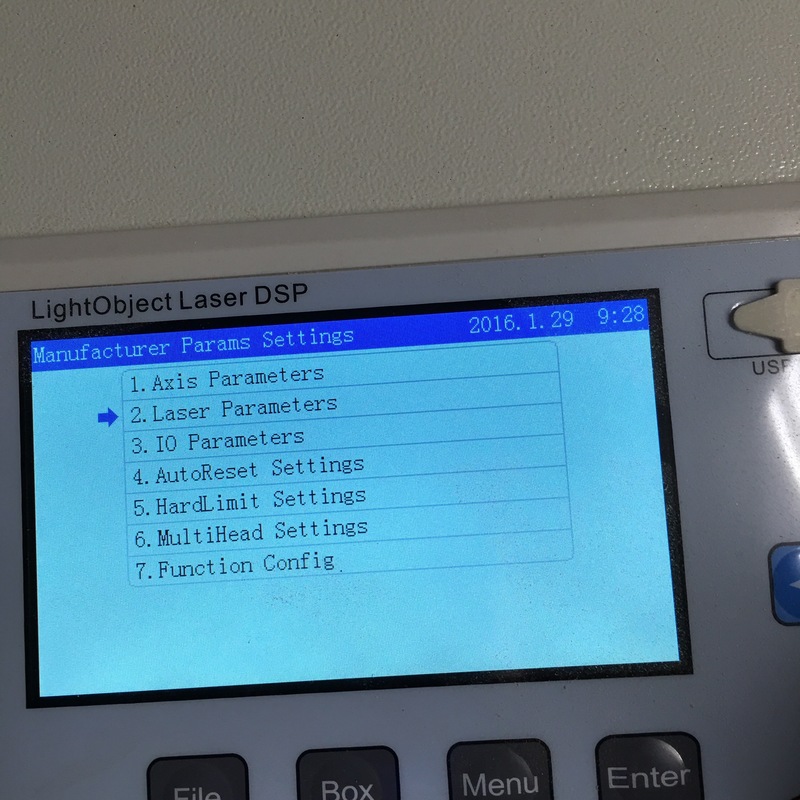 I entered the Manufacturer Parameters by pressing the Stop Button and then the Shift Button. 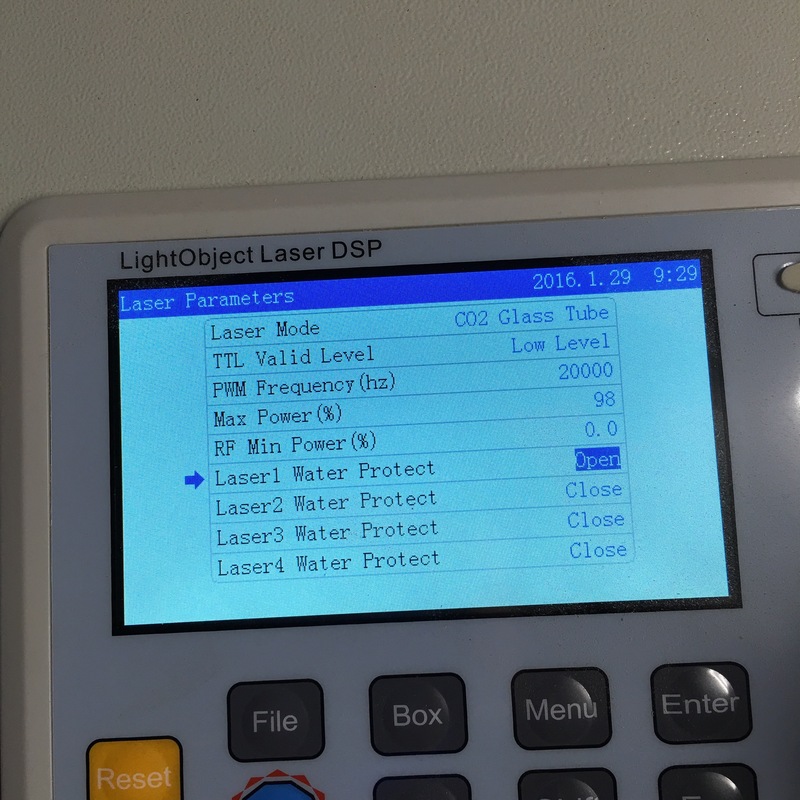 I changed Laser1 Water Protect setting from Close to Open. 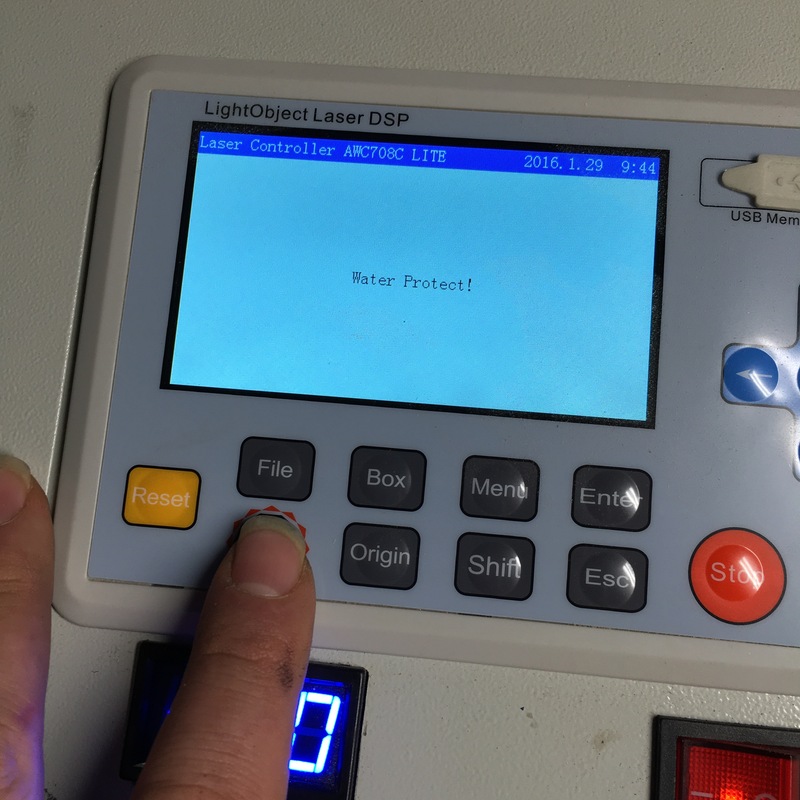 I unplugged the water pump, turned on the K40 and pressed the Laser button. It works! I also verified that the K40 works when the water pump is running. 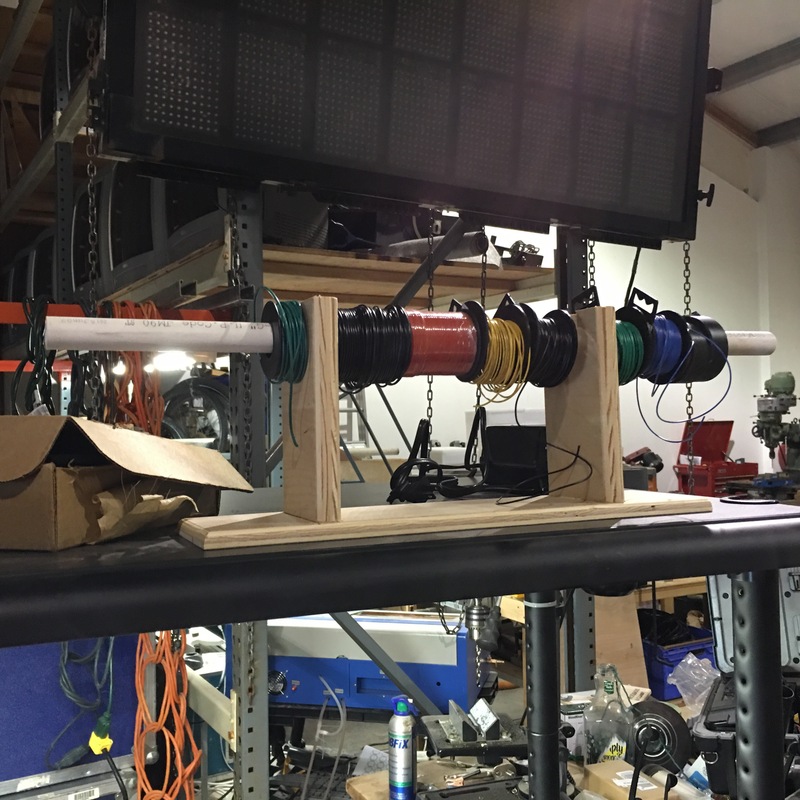 While cleaning MakerCave, I made an assessment of the scrap materials available and made this wire spool holder for the electronics workspace. 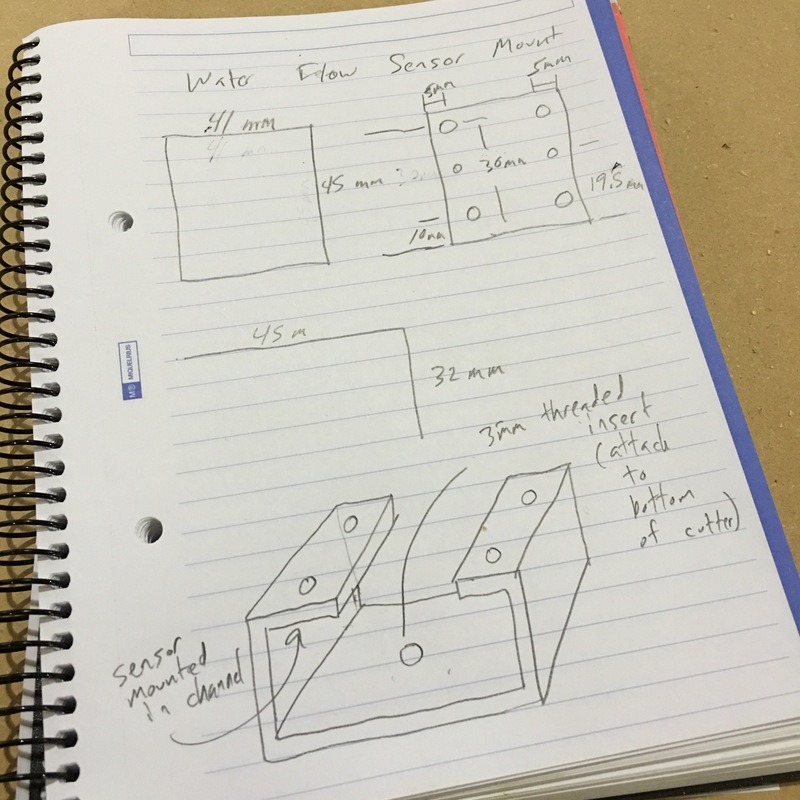 I grabbed some measurements of the water flow sensor and sketched out a mount. 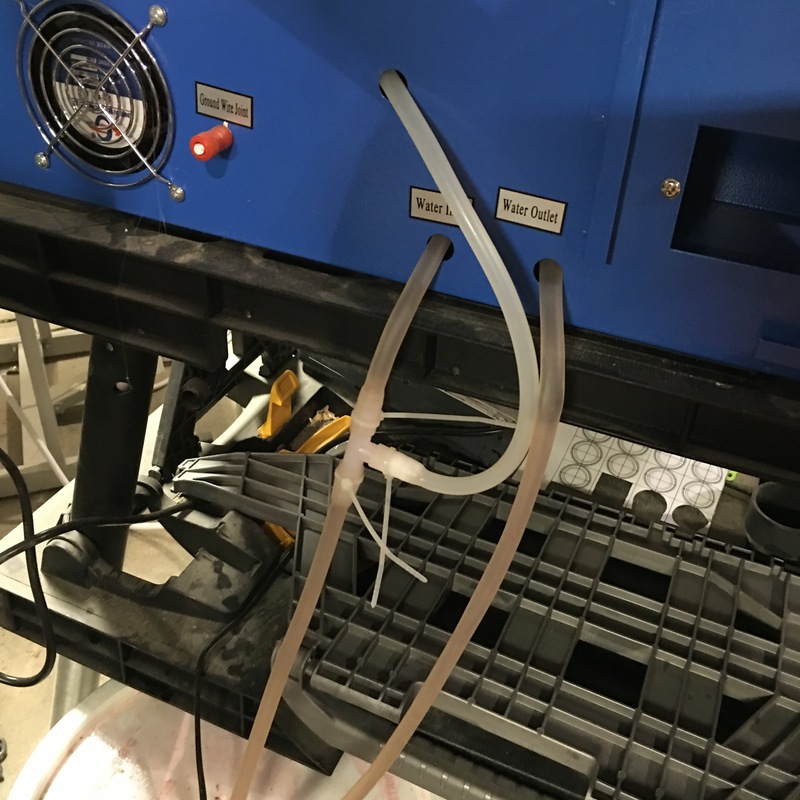 I installed the tee on the water cooling inlet for the K40 Laser Engraver and Cutter. I turned on the water pump to check for leaks and heard the activation of the switch in the sensor, a good sign. 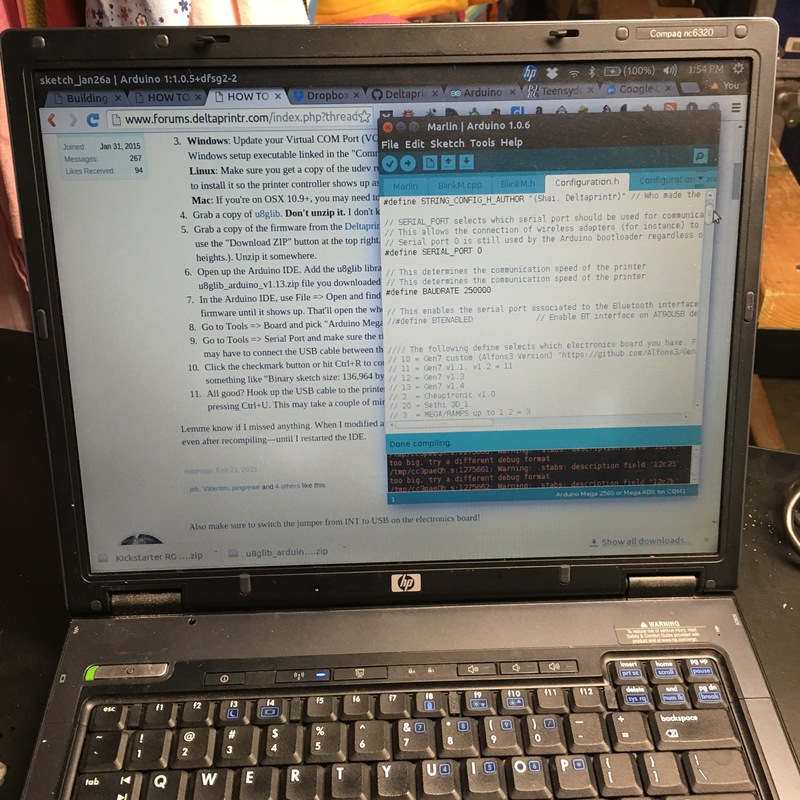 In preparation of updating the firmware on my Deltaprintr, I installed Arduino IDE 1.0.6 and the other necessary libraries on the electronics workspace laptop. I was able to successfully able to compile the stock firmware. 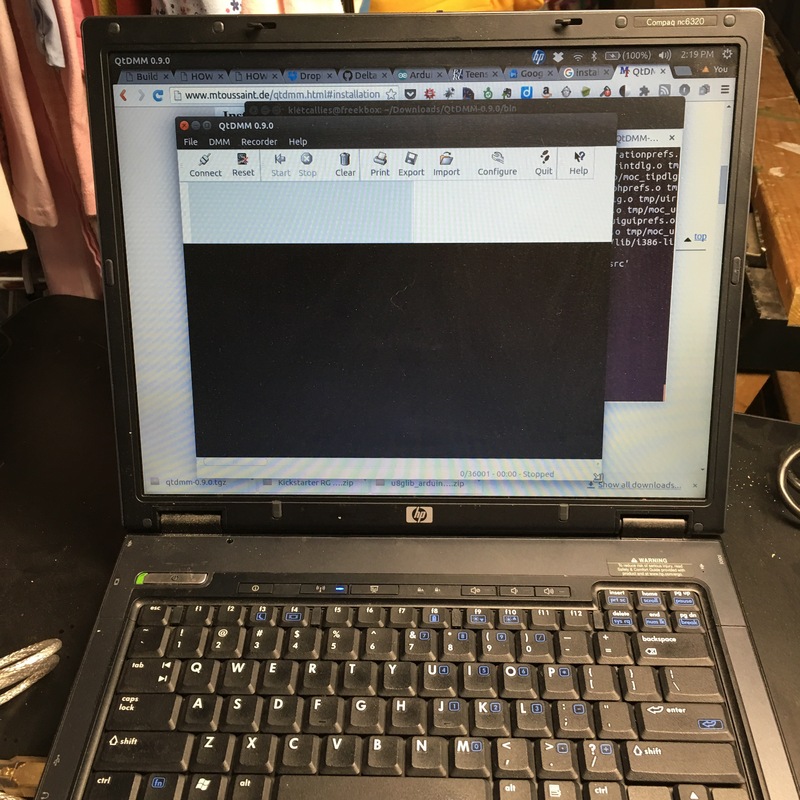 While at it, I also installed QtDMM on the electronics workspace laptop, which allows me to read and record the readings from my TekPower DT9602R Multimeter. 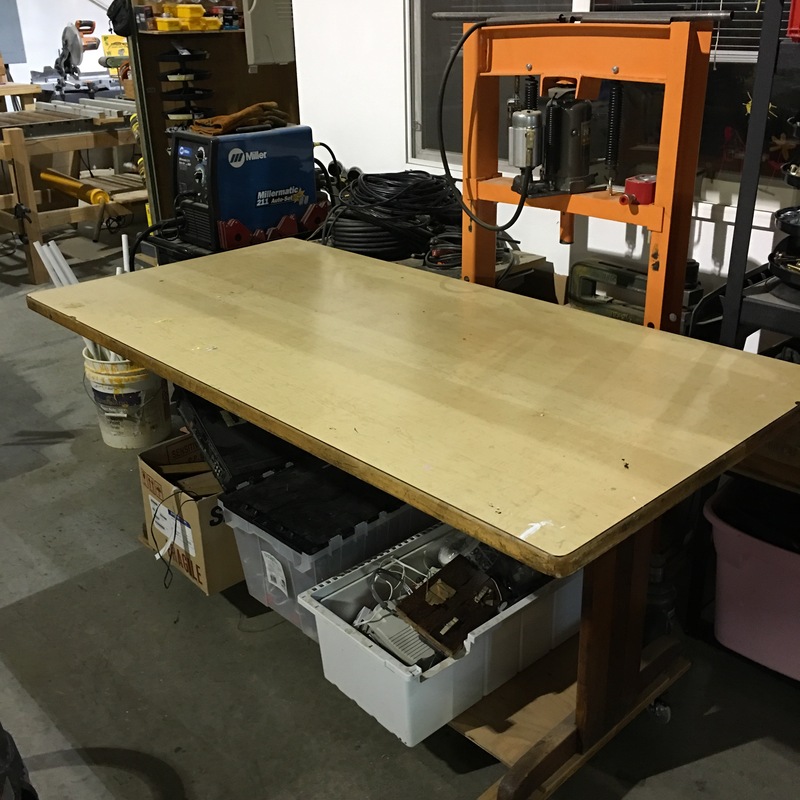 I managed to clean off one work surface. 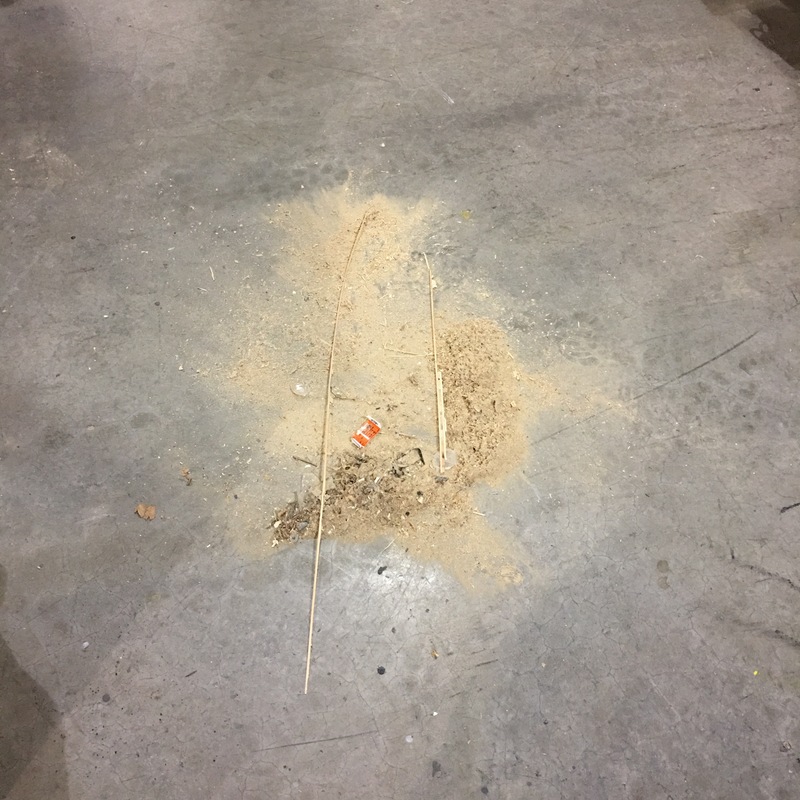 I managed to gather several dust piles around the shop.